In return, last week I was greeted at the door by two packages- one in the shape of a book (😄!!!) and one from Uncommon Goods. Once I ripped gently cut them open I discovered that my gift-er was Ashley from Bits & Pieces of Me. She also sent me a beer + food pairing dish towel (from Uncommon Goods) that’s been on my wish list for quite a while. The colors (which are a little skewed from my filtered picture below) look great with our kitchen! I loved Yes Please and can’t wait to hear more about what you think of it! I’ve never done a blog swap but they look so fun. Getting mail is the best. 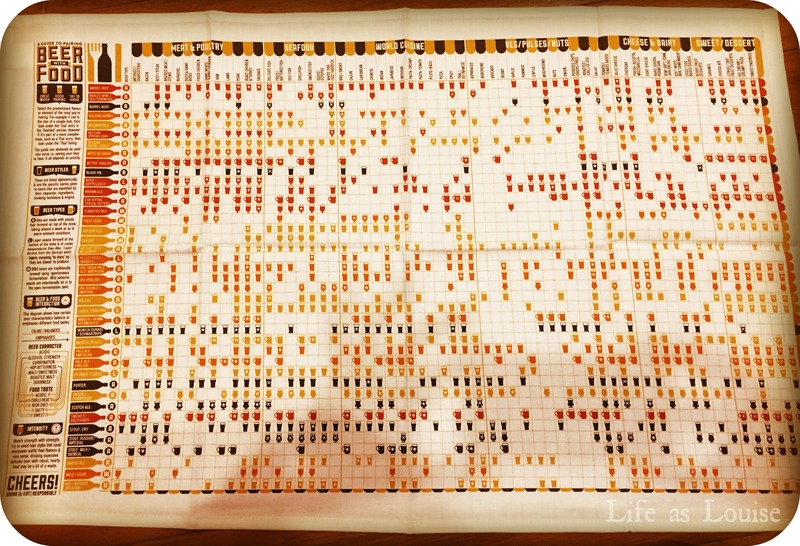 What do you think about the Tuesday/Thursday posting schedule? My goal is Tuesday and Friday but I’ve been struggling just to get two posts out per week. I really enjoyed Mindy Kaling and Tina Fey’s books so I’m hoping Amy’s is equally enjoyable! What a great gift! 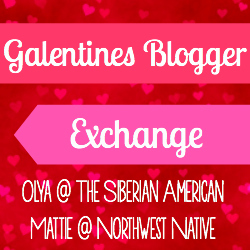 I love that you participate in blogger exchanges! Thanks, Elyse! It was fun! Oh noooo!! Honestly, I keep ending up sending to non-bloggers in the swap! (I’m not sure how since Mattie and Olya only open it up to bloggers, lol.) I love that you snail mail with Steph and Kelly!! That’s an adorably fun idea! This swap sounded like so much fun– getting book gifts/mail is always the best! What a fun Galentine’s Swap. That towel is perfect for my step daughter. I need to get her that! The beer and food paring is more for K, but the colors are PERFECT for my kitchen!! Yessss I love Amy! And really, it’s the perfect Galentine’s gift because she’s (as Leslie Knope) the inventor of Galentine’s, right?! So cool that she also got you something you’ve been wanting (and that it matches your kitchen). That dish towel is quite possibly the coolest thing I’ve ever seen. And I am interested to see how you like Yes, Please. I love fun dish towels 🙂 I have a million for each holiday! That is an awesome gift! I have not read Yes, Please yet. I think the hard copy would be great to read since it’s got so many pics and things inside. I keep picking it up but haven’t bought it, yet. I haven’t even flipped through the book yet! (I have a few I need to finish first…) I can’t wait to see all the fun stuff inside! I love your gift! That towel is so neat! Thanks, Olya! And thanks for co-hosting, too!! oh my goodness, love the beer + food pairing dish towel – so cute! and i read yes please and loved it! I’m excited to start Yes Please! The towel matches our kitchen so well and has such fun pairings. I love it! I’m so happy that you love your gifts! I literally wanted to order both of those gifts for myself as well! That towel looks AMAZING!! You’ll have to let me know how the book is :). Thank you so much for my fun gifts!! I’m so excited to start reading! What a fun gift! 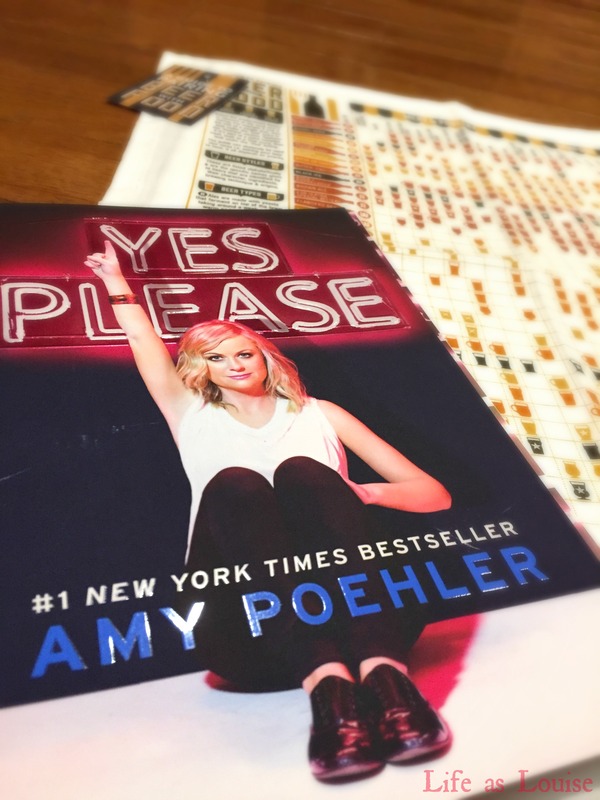 That towel is so cool and I really enjoyed reading Yes Please and I hope you do too!! That dish towel is so cool! And let me know how you like Yes Please! I loved it. I definitely will let you know! I love Amy so I’m hoping the book is great! Me too! I hadn’t bought it for myself so I’m glad it’s on my shelf now!! It IS lovely! And I always end up forgetting that I signed up and sent a gift, so when they arrive on my porch it’s a surprise all over again!